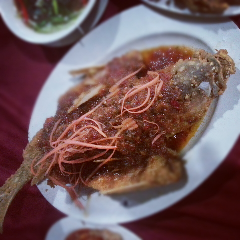 We just went to aroma ikan bakar again over last weekend. There were 5 of us. We planned to have dinner. 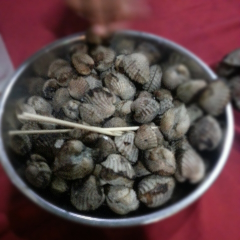 We went out around 6.30pm from Cheras and reached there around 7.20pm. Suprisingly all the tables are taken. We had to wait for a while until we get a seat. 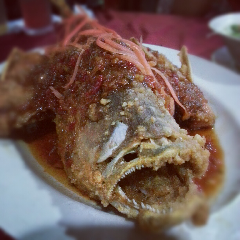 Ikan jenahak 3 rasa (3 flavors of Snapper). The fish is quite big. It was nicely fried. The fish is crunchy on the outside and juicy in the inside. 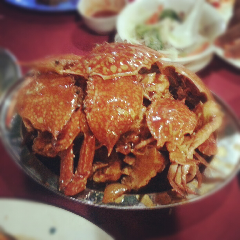 Ketam cili (Chilli crab). This is one of the reason we kept coming back here. Unfortunately the crabs are quite small this time. So we ordered 6 of them. More menus after the jump. Side order is sup sayur. We selected 3 huge squids and 4 small ones. 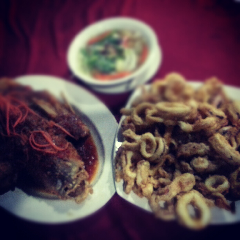 The first idea was to have all huge ones grilled and the rest goreng tepung (flour dipped & fried). 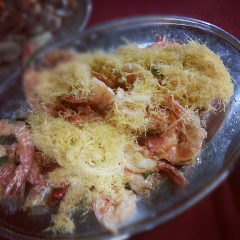 Butter prawn. Not my cup of tea but my kids loves them. Kepah halia. A simple yet deliciously done. Another shot of the same fish. 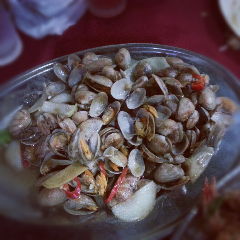 Kerang bakar while waiting for other dishes to come. Tempat Simpanan Emas Terbesar Dunia..
Cakes, believe it or not? High Speed Train in China..